Video picture slideshows provide a way of honoring and celebrating the life of your loved one. We produce a customized picture slideshow with up to 50 pictures, accompanied by music, which commemorates your loved one’s life. This is a free service for the families that we serve. We provide 3 copies of the video slideshow for you take home with you. Video slideshows can be played during visitations and/or services and can optionally be placed on the obituary section of our website. Our downloadable Video Tribute Form explains the details. 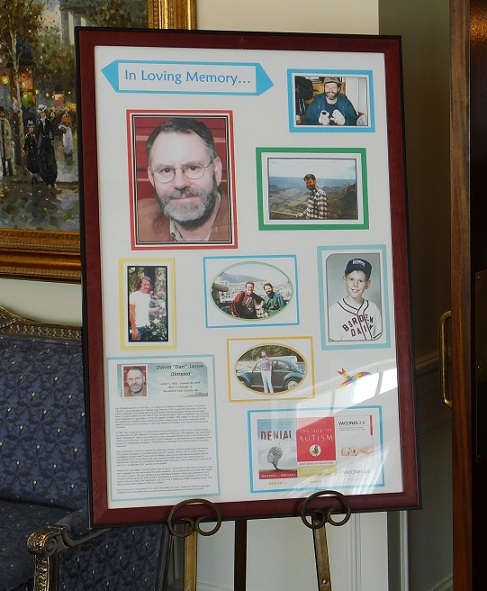 Memory boards provide a visual display your loved one’s life. We provide large framed foam core boards set on large brass floor stands that are available for the display of the memory boards. Memorial tables include another way to honor a life. We have different sizes of tables available for the displays.